You might be familiar with chef Suzanne Vizethann but, if you’re like many Atlantans, you haven’t had a chance to taste her food yet. Vizethann made a splash on television, winning the Food Network’s 2011 season of Chopped, and she’s been running a small lunch counter, The Hungry Peach, inside the until-very-recently private design center ADAC. So, unless you’ve been a television food judge or a design professional, Vietzthann’s food has been out of reach. 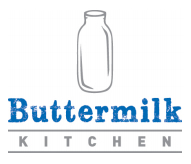 Today that changes, as Vietzthann’s new restaurant, Buttermilk Kitchen, opens today at 4225 Roswell Road. The restaurant will serve breakfast and lunch seven days a week, opening at 7 am (everyday but Sunday) and closing at 4pm. On Sundays, they’ll open at 8 am. Starting on October 22, the restaurant will serve a BYOB fried chicken dinner every Tuesday night. The restaurant design is the epitome of farmhouse chic and Southern kitsch. There are reclaimed wood panels by the boatload, buckets repurposed as light fixtures, handpainted everything, mason jars, and so forth. The menu matches that vibe, full of Southern staples like buttermilk biscuits, pimento cheese, farm eggs, shrimp and grits, and so on. 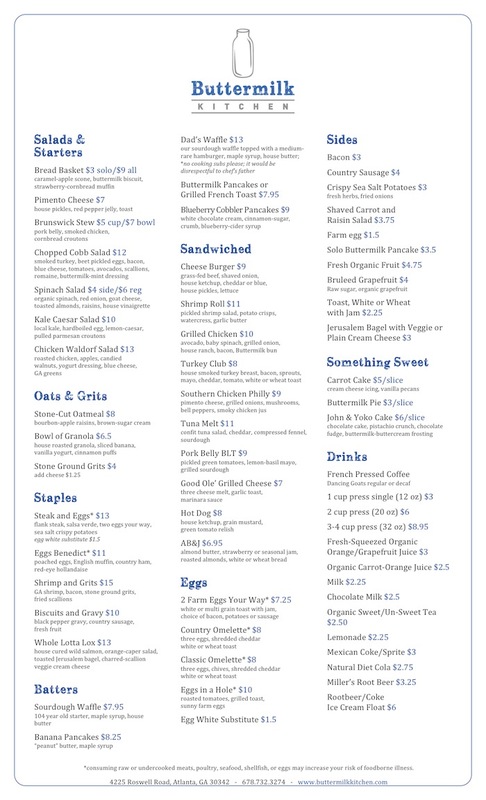 We’ve got the full menu and interior photos below. Take a gander.